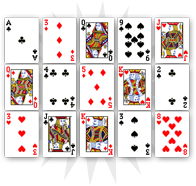 The Magician represents a young character, standing in front of a table on which different objects are placed. Wearing blue, red and yellow clothes, the character looks to the right and seems serene. His hat forms an eight, symbol of the infinite, and shows a form of freedom of action. In his left hand, the character holds a wand that refers to his ability to control material elements. The few objects placed in front of him also remind this reference: some money coins, a cup, some dices and a knife. 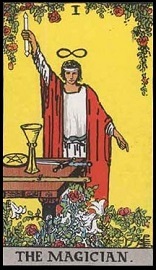 The Magician is the first card of the Tarot of Marseilles. It is marked with the number one and is placed at the beginning of the cycle. The Magician is lively. His control of material elements gives him an asserted form of intelligence. He knows how to convince his entourage thanks to his skills and force of persuasion. He also represents love of life. Placed at the beginning of the cycle, he is a young dynamic character who counts on his skills and his expertise to make progress. 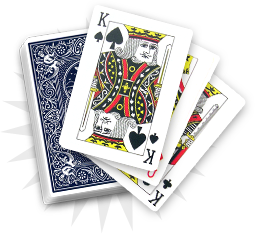 The Magician can also appear as an impostor. His control of material elements make him the perfect cheat. He is cunning and can hide his lack of knowledge to look contented. He is opportunist and does not hesitate to lie to his entourage if he can find some benefits. 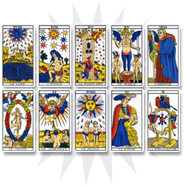 The Magician represents youth, expertise and innovation. You are about to start something new and your enthusiasm seems to be an essential quality in the achievement of your project. Your skills give you a form of natural control of the situation, but without any effort, any project is shallow. You seem full of joy when you think about committing to this new situation. Nevertheless, you have to keep in mind that knowledge is useless when it is not structured or properly organized. You seem committed to a project without having any middle-term vision. Even if you have all the natural qualities to achieve this project, you will be slowed down by a lack of organization. You lose too much time on pointless things and forget the essential element. Put things into perspective in order to better prepare your future. Often placed at the beginning of a cycle leading to wisdom, the Magician invites you to choose a new path. You have to become again the decision maker in your own life and use your experience to start something new. Let yourself be led by your love of life and face your future with more maturity; you may then find success. The Magician indicates a new start, both on emotional and professional levels. To increase your chances of successfully achieving this new project, you have to use your intelligence and your expertise. 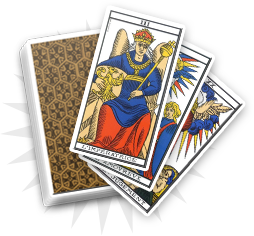 The Magician allows you to serenely consider a new start. You will have to use your experience and your skills to undertake this project. Do not hesitate to move forward, but remember to stay attentive: a successfully achieved project is often a well thought out project. If you think that you do not have the necessary skills to succeed in your initiative, do not lose hope: persevere and learn some knowledge.